New St. Baldrick’s researcher Dr. Rintaro Hashizume in the lab at Northwestern University. For a child diagnosed with an atypical teratoid rhabdoid tumor or AT/RT, the options for treatment can be sparse and survival uncertain. This rare, aggressive tumor generally strikes very young kids and though research has progressed, many of these kids live less than a year after diagnosis. As the father of a kindergartener, this breaks Dr. Rintaro Hashizume’s heart. Recently awarded a St. Baldrick’s Research grant, Dr. Hashizume wants to change that reality for kids with AT/RT and their families. But AT/RT is tricky. Chemotherapy and surgery don’t work very well, Dr. Hashizume explained, and though radiation is the best tool they’ve got, it must be limited because of the harmful impact on young brain development. On top of that, AT/RT doesn’t have specific therapeutic genetic targets that could be used to make new, targeted drugs to help these kids get better. But, Dr. Hashizume and his team do have good news – they found other promising characteristics of AT/RT that look like they can be targeted. These unique characteristics are epigenetic, rather than genetic, which means they are changes related to how genes are expressed (or turned on and off), rather than changes to the actual genetic code itself. “Once a genetic event, such as a mutation, occurs in a human gene, it’s difficult to repair, but an epigenetic event, such as methylation, acetylation, and phosphorylation, can be repaired by regulating the enzymes and switching back to normal condition,” Dr. Hashizume explained. This is one of the reasons why twins can have an identical genetic code, but different personalities, different likes and dislikes, different health issues and different life spans, among other things, – because external factors like their environment and varying stresses cause their genes to express themselves differently, he added. 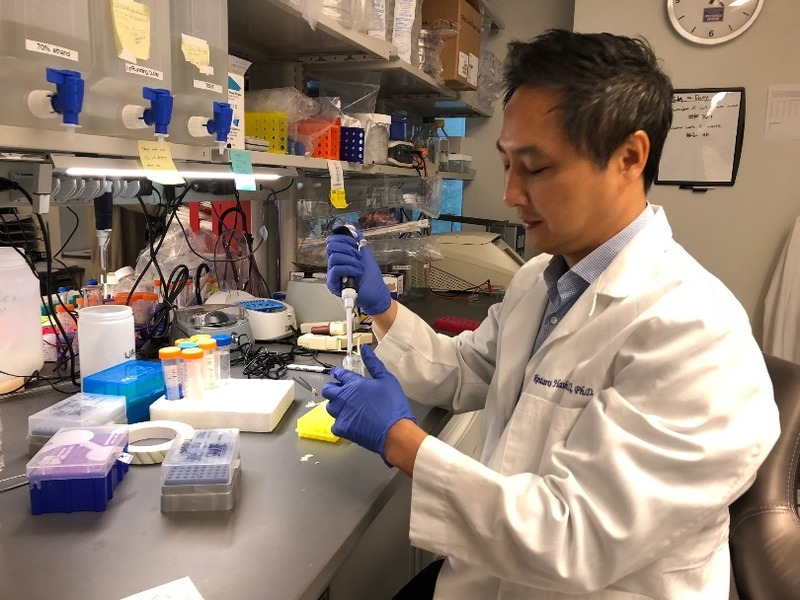 Alongside his work in the lab, Dr. Hashizume is an assistant professor of neurological surgery, as well as biochemistry and molecular genetics at Northwestern University. In AT/RT, there are two specific epigenetic changes that Dr. Hashizume is studying. These epigenetic characteristics, called EZH2 and BRD4, appear to play an important role in the growth of AT/RT — they help either turn off a gene that suppresses tumors or turn on a gene that enhances tumor growth, allowing AT/RT to run wild. Dr. Hashizume is looking at whether knocking out those processes slow or even stop AT/RT’s aggressive growth and whether adding radiation to those inhibitors could make the potential therapy even more potent. In addition, Dr. Hashizume is examining how tumors adapt to long-term treatment on a molecular level and how that adaptation can be disrupted to make them more sensitive to treatment. To sum it up, Dr. Hashizume and his colleagues have a lot of balls in the air, but they have one singular goal — to give kids with AT/RT better, more effective therapies, so they can live long and healthy lives. “Kids with AT/RT are going to die right now. So, given this fact, the results from our research will be sufficient to create a trial using EZH2 and BRD4 inhibitors and eventually improve the outcome of the patient with AT/RT,” Dr. Hashizume said. 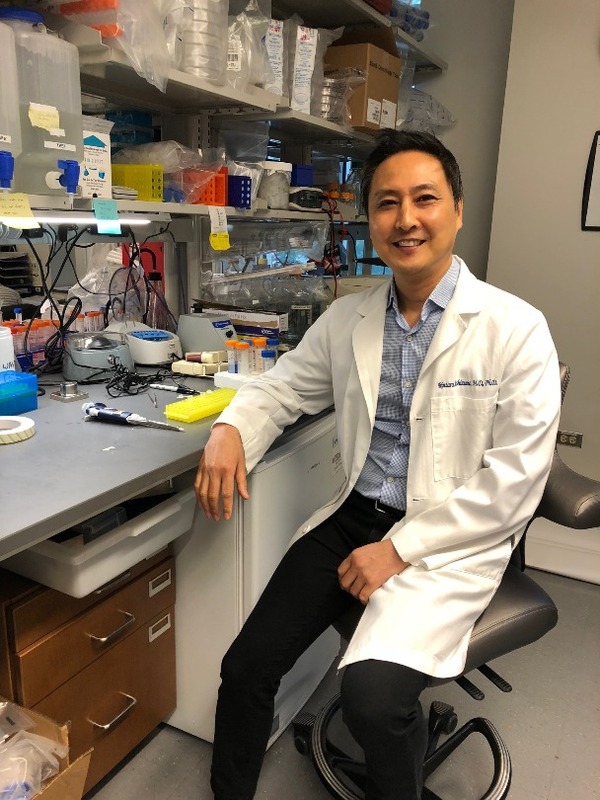 Now, Dr. Hashizume is one of the newest St. Baldrick’s researchers, having received a St. Baldrick’s Research grant during this most recent grant cycle. He was elated to receive the good news, especially since this is his inaugural grant for AT/RT research – the first of many, he hopes, and the first step to survival for kids with AT/RT. Together we can take childhood back from cancer. Fund the best research today and give kids with AT/RT the chance to live full, healthy lives.